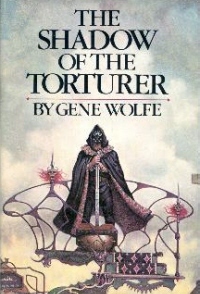 Many critics, writers, and readers who have discovered the novels and stories of Gene Wolfe consider him to be one of the greatest, if not the greatest living science fiction writer. In fact, he has been acclaimed by some as the greatest living writer in the English language, of any genre. If you have not read these books, I envy you. Few experiences can compare to discovering Wolfe’s unbelievably rich, dense prose, his astounding vocabulary, and his intricate, deeply layered stories saturated with meaning, for the first time. 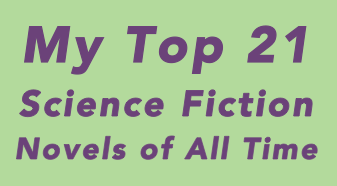 Wolfe’s stories traverse the place where science fiction and fantasy overlap – The Book of the New Sun is sometimes described as science fantasy. Currently it is published in two volumes of two novels each. It is set in a far-future “dying earth” when the light of the sun is fading, and is told in first-person by Severian, an apprentice torturer who is exiled from his order for showing mercy to his victim. The Urth of the New Sun is a coda or sequel to The Book of the New Sun. Set in the same universe as The Book of the New Sun, the four-novel series The Book of the Long Sun – also currently published in two volumes of two novels each – describes the lives of inhabitants of a vast starship who have been in transit between worlds for many generations as they near their destination. The three novels in The Book of the Short Sun describes what happens when they arrive. Wolfe has written several other series and stand-alone novels as well – some 25 novels total, and many volumes of stories. I have read nearly all of them, some more than once, and would recommend many – but start with The Book of the New Sun.